Items must not have been worn, no evidence of damage, and the original receipt and packaging must be returned. 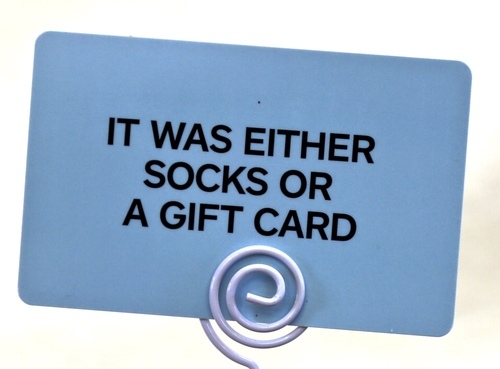 Gift card to apply any denomination to. Have to put a price but $10.00 is a good place to start. 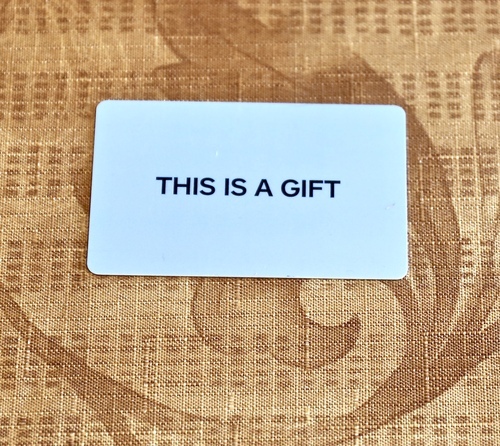 Gift Card for any denomination. Snarky sayings for those hard to buy for people.